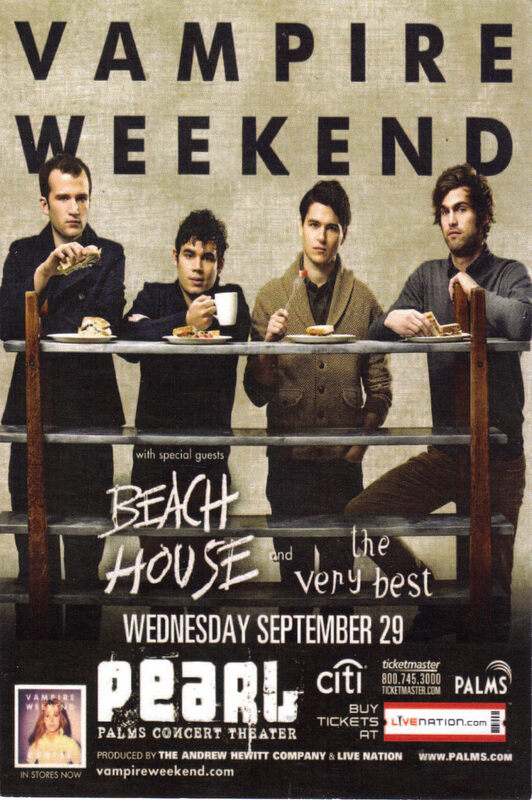 This is the original ad for the live performance of VAMPIRE WEEKEND held at the PEARL Palms Hotel Concert Theater Las Vegas, Nevada Wednesday, September 29th 2010 with special guests stars BEACH HOUSE THE ERY BEST. Produced by the Andew Hewitt company Live Nation. 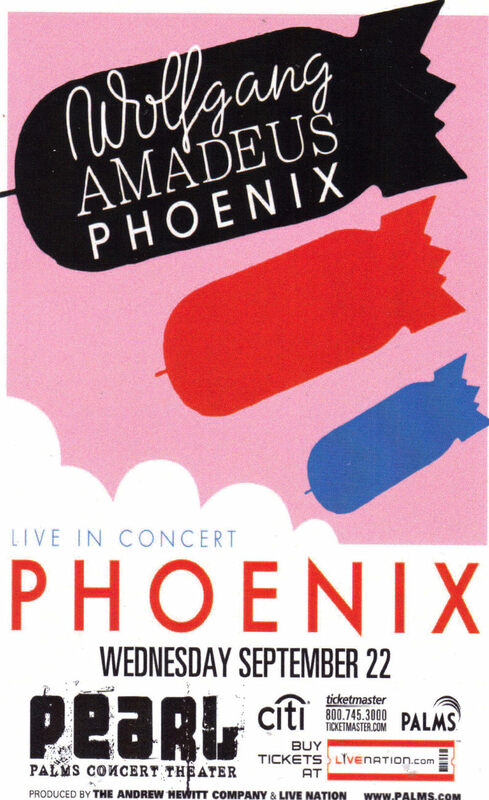 Flip side of card is an ad for WOLFGANG AMADEUS PHOENIX, Live in Concert entitled PHOENIX held also at the PEARL theater Wednesday, September 22nd 2010. Card measures 5-3/4" L x 3-3/4" W Mint Condition Send email if you need more details on this card. Buyer is responsible for 1.95 shipping to anywhere in the USA Canada. Do check the store for many more collectibles daily. Thanks for stopping by!